Normally I do not make cards for something that already has a card set. That's kind of the whole premise behind Phantom Cardboard, giving something a trading card that I wished would have had one. 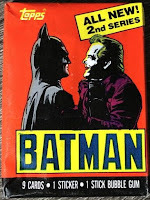 Topps has an awesome Batman card set that we all collected back-in-the-day. In 1989 there was not a single thing bigger than the Batman movie. The hype surrounding it was insane. Because of that the 1989 Batman movie has had a huge and lasting impression on me. There's been a number of well done Batman movies released since then but, for me, there's one Batman... Michael Keaton. And, one Joker... Jack Nicholson. The reason I decided to do the two-card set is a very small one really, I wanted an excuse to use the Joker Gang logo on a card. There was an avalanche of rad Batman merchandise that came out that year. There were some legendary t-shirts and anyone who was a kid back then seems to remember the one(s) they had. 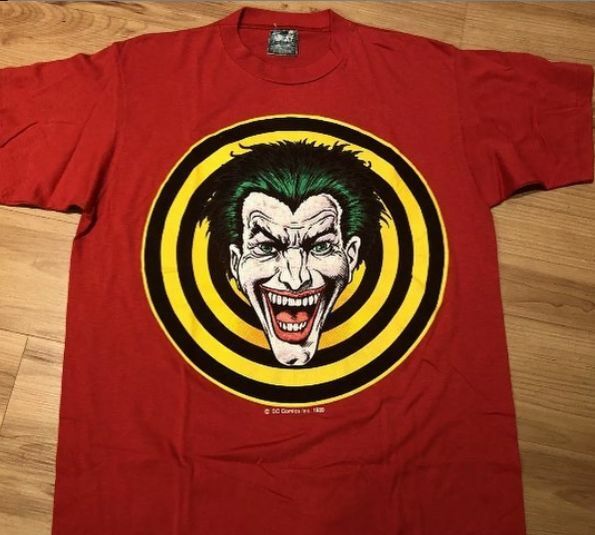 One of my favorite shirts I ever owned was the red Joker Gang logo t-shirt. I wore that shirt until the dryer faded the screen print beyond recognition. I loved that shirt. I need to eventually find another at *hopefully* a reasonable price. The Joker is a villain no doubt, but he's one of those "cool villains". These two card also gave me a chance to again use the 1989 Fleer baseball inspired design that I had so much fun with for the Major League card set I did. 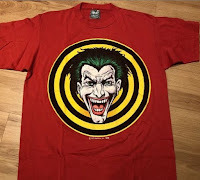 Unlike Topps in 1989, the '89 Fleer required a logo which is what I wanted for that bullseye Joker Gang emblem, not to mention the 1989 Batman logo. Plus I found a couple of promo pics of Michael Keaton and Jack Nicholson that worked out great. 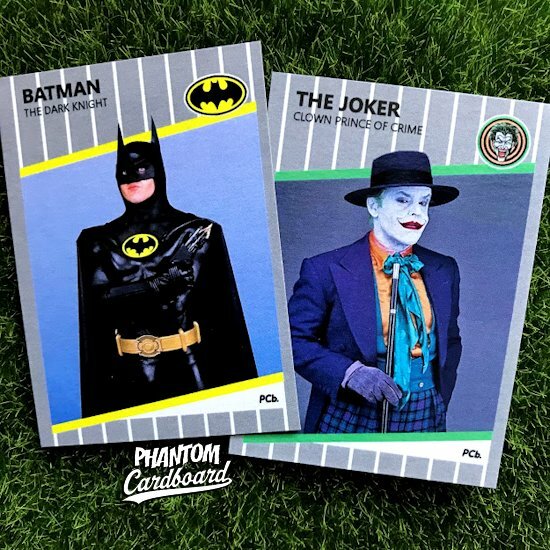 So, while there is that nostalgic Batman movie card set that Topps got two series out of, these are more like Batman and Joker baseball cards. In a happy little coincidence these two cards coincide the 1989 Tim Burton directed movie turning 30 this coming June and also the Batman character itself celebrating it's 80th anniversary just four days ago.